Bachelor of Science in Animal Science with an emphasis in feed yard management. I grew up on a small feed yard in northeast Nebraska, where my family has been feeding beef cattle for more than forty years. After finishing high school, I headed off to college at the University of Nebraska, Lincoln (UNL) with every intention of becoming a veterinarian. I quickly realized that veterinary medicine just that wasn’t the path for me – too much undergrad physics. I decided to go back to my roots, changing my major to animal science and my focus to feed yard management. In December 2006, I earned my Bachelor of Science degree. And, with the help of the UNL Feed yard Management Internship, I landed my first full time feed yard job, staying on with the western Nebraska feed yard where I interned. During my tenure at the feed yard, I learned every aspect of raising safe, wholesome, and nutritious beef. I got involved in the community serving on the executive committee of the local Nebraska Cattlemen’s affiliate, as well as serving on the fair board. 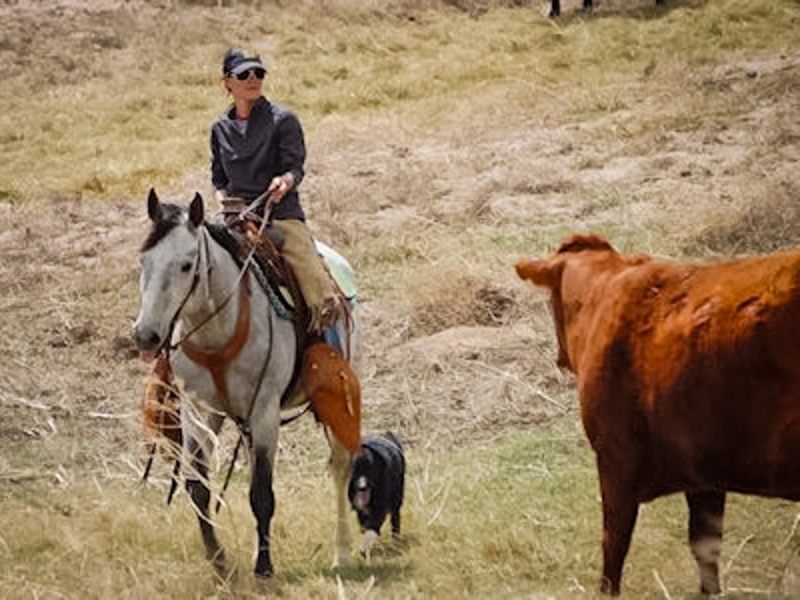 I worked for the same feed yard for seven years before my husband was offered his dream job, we moved to the Sandhills of Nebraska, and I became a rancher. 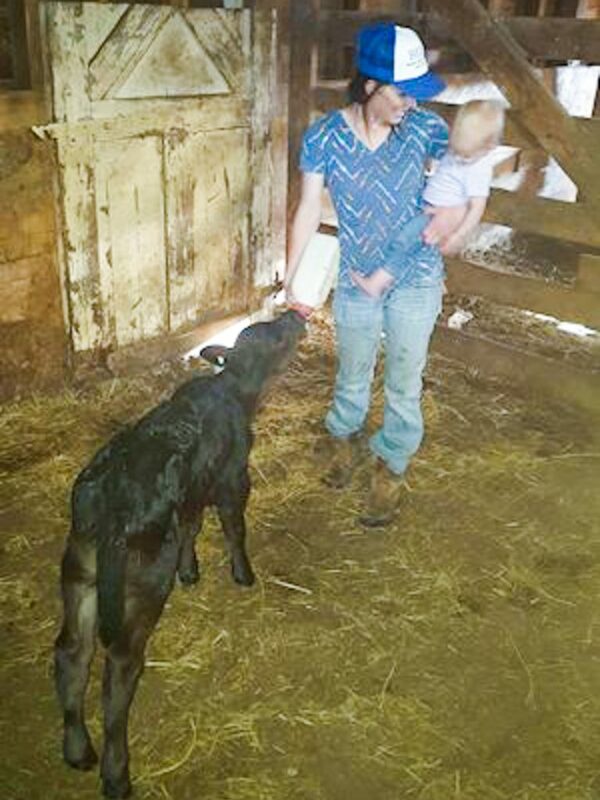 | “Feeding the kids” takes on a whole new meaning when you’re mom to more than one species. I wouldn’t say they attempted to stop me from reaching my goals, but when I started at the feed yard, I did catch a lot of flak from my co-workers because I was young, college educated, and a girl. I’m not going to lie, this line of work can be extremely emotional from the highs of seeing good weather and happy healthy cattle to the lows of natural disasters that leave death, destruction, and devastation in their wake. It’s not easy to pin point just one emotional story, but the one I am going to share is about Bob. Bob was the manager of the feed yard where I worked prior to becoming a rancher. But, Bob was way more than just a manager. To me he was (and still is) a mentor, a role model, a father figure, and the kick-in-the-pants motivator I needed. He pushed not just me, but the whole team to do better than our best. His catch phrase, “It’s all attitude,” has become one of the mantras I live by. And, I am not too proud to admit that when I made the decision to leave the feed yard, my exit interview pretty much consisted of a huge hug and an ugly cry. Something everyone can do today, to help save the planet is become aware of, and work really hard at, reducing your food waste. Develop a thick skin. You’re going to need it to help you persevere through the sometimes crappy hand Mother Nature deals you and to brush off the naysayers. Never close your eyes or mind to learning. You can learn something from everyone and every situation. I would be a cow, if I weren’t a human. Cows are amazing creatures. They can digest cellulose (something we humans cannot do), turning it into beef – an excellent source of protein (and 9 other essential nutrients) that humans can digest. And, that’s just one amazing thing they do – I could really go on forever about the fabulousness of cattle.